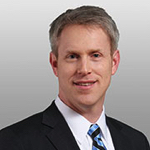 Ashden Fein is a partner at Covington & Burling. Mr. Fein advises clients on cybersecurity and national security matters, including crisis management and incident response, government and internal investigations, and complex regulatory matters. For cybersecurity matters, Mr. Fein specifically counsels clients on preparing for and responding to cyber-based attacks, assessing their security controls and practices for the protection of data and systems, developing and implementing cybersecurity programs, and complying with federal and state regulatory requirements. Mr. Fein also has been the lead investigator and crisis manager for multiple complex cyber and data security incidents, including data security breaches involving millions of affected consumers, advanced persistent threats targeting intellectual property across industries, state-sponsored theft of sensitive U.S. government information, and destructive attacks. On national security issues, Mr. Fein assists clients with sensitive national security investigations and responding to government inquiries. He also advises aerospace, defense, and intelligence contractors on security compliance, including under the National Industrial Security Program (NISPOM) and U.S. Government cybersecurity regulations. He represents foreign and domestic clients in various industries in securing the approval the Committee on Foreign Investment in the United States (CFIUS), as well as ongoing compliance matters related to mitigation agreements with CFIUS. Before joining Covington, Mr. Fein served for thirteen years in the United States Army, first as a military intelligence officer and later as a lawyer in the Judge Advocate General’s Corps. While on active duty, he specialized as a military prosecutor, gaining significant experience in complex litigation and cybersecurity. He served as the lead trial attorney in the prosecution of Private Chelsea (Bradley) Manning for the unlawful disclosure of classified information to WikiLeaks, the largest national security and cybercrime investigation and prosecution in the history of the Army. He worked closely with senior officials across the Departments of Defense, Justice, and State; U.S. Attorneys’ Offices; the Federal Bureau of Investigation; other government agencies within the Intelligence Community; and several federal, state, and local enforcement agencies. In addition, Mr. Fein served as the Chief of the Criminal Division for a command of 17,000 soldiers and as a legal advisor for an Army Aviation organization deployed in Iraq. Mr. Fein currently serves as a Judge Advocate in the U.S. Army Reserve.